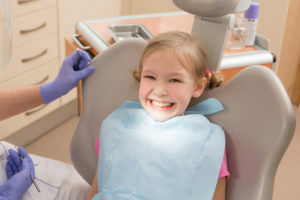 In addition to home oral hygiene habits, the care your child receives from their pediatric dentist in Birmingham is equally as important to developing and maintaining a healthy smile. Not to mention, with regular dental visits throughout the years, they learn the importance of oral health and will have the foundation they need to keep it a priority over the years. However, there is a certain challenge when reaching this goal—your child’s comfort level. It is not uncommon for young patients to fear the dentist. Dr. Angelica Rohner understands their unique comfort requirements. She helps to ease their fears so they enjoy their time in our office. As soon as the first primary tooth erupts, your child needs to start seeing the dentist twice a year for a cleaning and checkup. While this is often easier said than done, it is necessary. The younger they start preventive care, the better. In addition to ensuring the proper development and health of the teeth, it also allows us to build a trusted relationship with them over the years. However, earning a child’s trust can be difficult due to their fears. 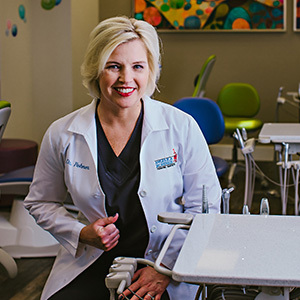 As a mother and specially trained in pediatric dentistry, Dr. Rohner can make all children feel at ease when in her office. She caters to the individual needs and comfort levels of young patients to make going to the dentist easy. Your child’s first appointment should be scheduled before their first birthday. Although only a few teeth have erupted at this point, it provides Dr. Rohner an important opportunity to meet your child while also accessing their risk for tooth decay and bad habits that can lead to problems, like thumb sucking. Although not much will be done at this appointment, it helps to set the foundation for future visits by earning your child’s trust. Dr. Rohner will evaluate the health of the teeth and discuss oral hygiene habits to ensure their proper growth and development. As your child ages and they become more comfortable with Dr. Rohner, the appointments will become more comprehensive. In addition to a visual examination, we will take x-rays to gain a deeper insight into their dental health and development. We will also look at potential orthodontic issues and examine the temporomandibular joint to look for any areas of concern. Our hygienist will gently clean your child’s teeth and discuss proper brushing and flossing habits. We will recommend certain preventive treatments, like a fluoride varnish and dental sealants, to help prevent tooth decay. With regular visits to a kids’ dentist in Birmingham, you will set the right foundation for a lifetime of dental health. We provide the fun, comfortable, and relaxing environment young patients need to feel at ease. Together, we will work to help create a lifelong healthy, beautiful smile. Contact our office today to schedule your child’s first dental visit.